It’s time for another major tournament series in the Garden State. 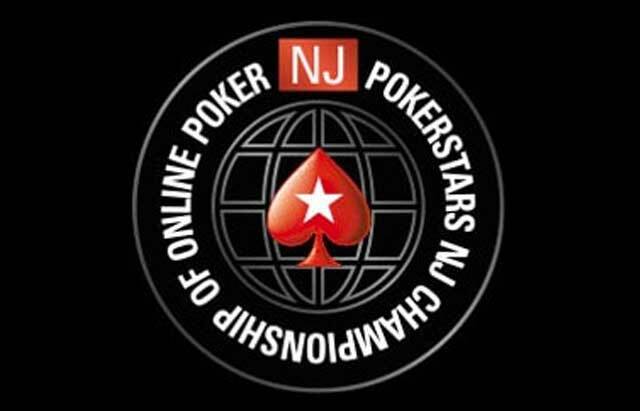 The New Jersey Championship of Online Poker returns to PokerStarsNJ from September 29 to October 15. The online series stretches over 18 days and features 47 different events with $1.5 million total guaranteed prize pool. NJCOOP offers a wide variety of tournaments with buy-ins that range from $25 up to the $1,000 No Limit Hold’em High Roller. PokerStars will be awarding three Platinum Passes to their upcoming PokerStars Poker Players Championship. For the initiated, the Platinum Pass covers the $25,000 buy-in to what is likely to be the largest tournament of that size in history as well as an additional $5,000 to cover the expenses of traveling to the Bahamas, where the event will take place. There are three ways for players to get their hands on the pass. The first Platinum Pass will be awarded to the winner of the $86 Moneymaker Tour event which takes place on Sunday, September 30 online at PokerStarsNJ. On the back end of the NJCOOP schedule, two more passes will be handed out. One pass will be awarded to the winner of the ‘NJCOOP Main Event Entrants All-in Shootout’. This tournament will take place on October 16 at 8 pm ET. The champion of the ‘NJCOOP Entrants All-In Shootout’ will win the final $30K pass. This event begins an hour later on the same day at 9:00 pm ET. NJCOOP looks to expand on their successful 2017 campaign in 2018. PokerStars is adding another event to the schedule. Additionally, the total prize pool guarantee is getting a $300,000 boost above the $1.2 million that they promised in 2017. It was just last year that PocketFiver Dan ‘R@zzleDazz1e’ DiZenzo took home the Main Event title by defeating a field of 420 runners in the $200,000 NJCOOP Main Event for a career-high payday of over $36,000. Finishing right behind him in second place was Ryan ‘ACpoker0271’ Lee who also banked a career-high cash, his being for just over $26,000. The 2017 series ended up with a total prize pool of $1.45 million. PokerStars is going to need plenty of qualifiers if they want to make sure they don’t have overlay this year. Satellites for events will begin on September 18 with buy-ins starting as low as $1. They will also be running Second Chance Freerolls. When a player registers for an event during NJCOOP and bust outside of the money, they will automatically receive a ticket into the Second Chance Freeroll. The freeroll awards tickets into other NJCOOP events as well as tickets into satellites. The Second Chance Freerolls run just about every day from September 30 – October 15. NJCOOP is also a good time to reload. Players who deposit $50 or more before 6:59 pm ET on October 13 will receive a free ticket into the NJCOOP $10K Main Event Depositor freeroll. This tournament gives the top 20 players a $500 NJCOOP Main Event entry.